"One word for this boy - astonishing! He will go far..."
Well he couldn't have gone further than he did when he emigrated from Scotland to New Zealand in 1991, then de-emigrated in 2008 to Glasgow’s South Side - just three miles from where he was originally brought up in Parkhead. And all that after more than a dozen Round-the-World tours. But wherever he is in the world, John Cairney, actor, writer and raconteur par excellence is never more at home than when he is on a stage talking to an audience. His audience is mainly Scots, and those who wish they were Scots, but he believes that once the lights go down we're a Jock Tamson's bairns' and nationality means nothing in the dark. An audience is an audience anywhere. As a solo performer he falls in love with his audience every night, and to win them he must woo them with words. "A Scots Prince of Denmark - One hesitates at this stage to add paint to Mr Cairney's gilded Hamlet... No need for apologia. This Hamlet, in flesh, blood, soul and brain, and crucifying, emotional torment, gloriously lives..."
In a career that has spanned more than half a century, John Cairney has performed on every kind of stage from London's West End to the garden room of a millionaire's home in Texas, and before every kind of audience from Britain's royal family to a hall full of shipyard workers out on strike in Glasgow. He has worked as actor, recitalist, lecturer, director and theatre consultant, been published as an author and, most recently, exhibited as a painter. "John Cairney gives a fine, stirring, totally sympathetic performance as Cyrano, coping easily, not just with the flashy bits, but also in a tender way with the great man's passion for Roxanne - a splendid job." John Cairney, however, is, above everything else, an enthusiast and carries this enthusiasm into everything he does. His work reflects the freedom he has felt throughout fifty full, unbroken years as his own man in every arm of performance in all media. Trained at the Royal Scottish Academy of Music and Drama as a classical actor and singer with a natural tenor voice, he had early opportunities to sing in opera or join the Royal Shakespeare Company or the National Theatre, but he elected to go solo and has never regretted it. "As Macbeth, John Cairney is stupendous." This has allowed him to travel around the world regularly and to shape his life as he wanted and not as a conventional career might have demanded. Now, after a full and rewarding career of his own making, he is ready to put a lifetime of theatre knowledge and experience at your disposal. "Connaissez-vous Robert Burns? Connaissez-vous John Cairney? Si, ne manquez pas. 'There Was A Man'...En Revenche, je n'ai que des louanges distribuer a John Cairney...Quel acteur prodigieux de naturel - quel variete dans l'expression- dans le voix, dans le geste! Il incarne le poet Ecossais." Formed his own company, Shanter Productions, in 1969 to present his own solos around the world and in 1978 to extend this as Two for a Theatre with Alannah O'Sullivan. Formed John Cairney & Company Ltd and The Burns Musical Company Ltd to produce the Burns Musical for Glasgow 1988 and 1990. John Cairney made his stage debut at the Park Theatre, Glasgow, before enrolling at the RSAMD in Glasgow. After graduation, he joined the Wilson Barrett Company as Snake in 'The School for Scanda'l. A season at the Glasgow Citizens’ Theatre followed before going on to the Bristol Old Vic where he appeared in the British premiere of Arthur Miller’s 'The Crucible'. He returned to the Citizens from time to time, most notably as Hamlet in 1960. He also appeared in the premiere of John Arden’s 'Armstrong’s Last Goodnight' in 1964. Other stage work until 1991 included King Humanitie in 'The Thrie Estaite' for Tyrone Guthrie at the Edinburgh Festival, Archie Rice in 'The Entertainer' at Dundee (1972), Cyrano in 'Cyrano de Bergerac' at Newcastle (1974), Becket in 'Murder in the Cathedral' at the Edinburgh Festival of 1986 and Macbeth in 'Macbeth' in the same Festival in 1989. He also wrote and appeared in his own productions of 'An Edinburgh Salon', 'At Your Service', 'The Ivor Novello Story' and 'A Mackintosh Experience' while continuing to tour the world in his solo 'The Robert Burns Story'. His association with Burns began in 1965 with Tom Wright’s solo play 'There Was A Man' at the Traverse Theatre, Edinburgh, and at the Arts Theatre, London. The solo was televised twice nationally and was also an album recording for REL Records, Edinburgh, as well as a video for Green Place Productions, Glasgow. From Burns he moved on to other solos on William McGonagall, Robert Service and Robert Louis Stevenson until he worked with New Zealand actress, Alannah O’Sullivan at the Edinburgh Festival of 1978. They married in 1980. As Two For A Theatre they toured the world for P&O Cruises and the British Council as well as the Keedick Lecture Bureau, New York, with programmes on Byron, Wilde and Dorothy Parker until 1986. Cairney’s first film was 'Ill Met by Moonlight' for the Rank Organisation, followed by 'Windom’s Way', 'Victim', 'Shake Hands with the Devil' and many more including' Jason and the Argonauts' and 'Cleopatra', 'Devil Ship Pirates' and 'Study in Terror' in 1965. 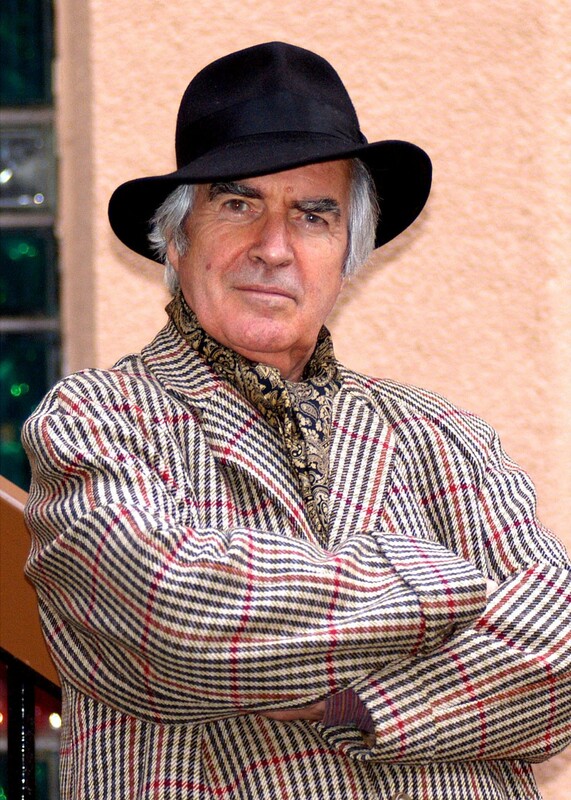 His many television parts include Branwell Bronte, Edgar Allan Poe and Robert Bruce and he has featured in all the main series: 'Danger Man', 'The Avengers', Dr Finlay’s Casebook', 'Elizabeth R', 'Jackanory', 'Taggart' etc. He also starred in BBC2’s 'This Man Craig' which ran for two years between 1966/68. In addition, he wrote and recorded his own songs for EMI at Abbey Road. As a writer, Cairney has to date published two autobiographies and a novel, 'Worlds Apart' as well as 'A Scottish Football Hall of Fame' and' Heroes Are Forever' for Mainstream Publishing (Edinburgh) and 'A Year Out In New Zealand' for Tandem Press, NZ. He wrote three Burns books for Luath Press in Edinburgh as well as biographies of R.L.Stevenson and C.R. Mackintosh and a book of essays on Glasgow entitled 'Glasgow by the way, but'. His second novel, 'Flashback Forward', was published by Random House, NZ, and his book on the mystique on acting is about to be published by Luath Press. Dr Cairney gained an M.Litt from Glasgow University for a History of Solo Theatre in 1988 and, in 1994, a PhD from Victoria University, Wellington, for his study of Stevenson and Theatre. They would then be worth the bother. Instead of always trying to explain the old. Good or bad - and be glad. Dec – Robin in ‘Doctor Faustus’ – Park Theatre, Glasgow. Jan – Old Jew in ‘Salome’ – Park Theatre, Glasgow. The Women’s Club, New Britain, Connecticut; Women’s Club of Wisconsin, Milwaukee; The Crichton Club, Columbus, Ohio; Bellevue Town Hall, Bellevue, Washington. Oct- Nov – R.L.S. in ‘The Robert Louis Stevenson Story’ – American Tour for Keedick Lecture Bureau, New York, USA. Newport; Dalgety Bay; Buckhaven Community Centre, Lochgelly Centre. Feb-Mar – ‘Two for A Theatre’ with Alannah O’Sullivan and Robert Burns in ‘The Robert Burns Story’ at the Phillip St Theatre, Sydney*. Edinburgh; Carnoustie Hotel, Carnoustie, Fife. Oct-Nov: Actor in Two For A Theatre shows with Alannah O’Sullivan for Keedick Lecture Bureau, USA. Country Club, Boca Raton, Florida. Feb – McGonagall in ‘The Real McGonagall’ – Cambuskenneth Hotel, Bannockburn; Frames Club, Stirling. Dec 06 – 09 Robert Louis Stevenson in ‘Mr RLS’ - Stevenson Festival, Apia, Western Samoa: Kitano, Tusitala; Aggie Grey’s Hotel, Samoa. © John Cairney 2013. Website by Incredible Shrinking Planet.